The NXT Lacrosse Academy (NLA) is for high-performing lacrosse players driven to take their game even higher. Our program matches a player’s intensity with small-group, position-based instruction built on Division I training curriculum. This isn't time to run through the motions in your average drill. Our goal is measurable improvement. We're looking for the area's most talented and intense players who are committed to getting to the next level. Last year's NLA sold out and featured players committed to Maryland, Notre Dame, Lafayette, Stevens Tech, Salisbury, Ohio State, Richmond, Hofstra and more. Players in grades 6-12 are welcome to apply for their spot in the NLA. There is a two-step registration process with an application to ensure that the correct amount of players are enrolled in each group and at each specific position. The first 30 minutes of each session are whiteboard and video breakdown in the Main Line Sports Center Classroom directly next to the field. 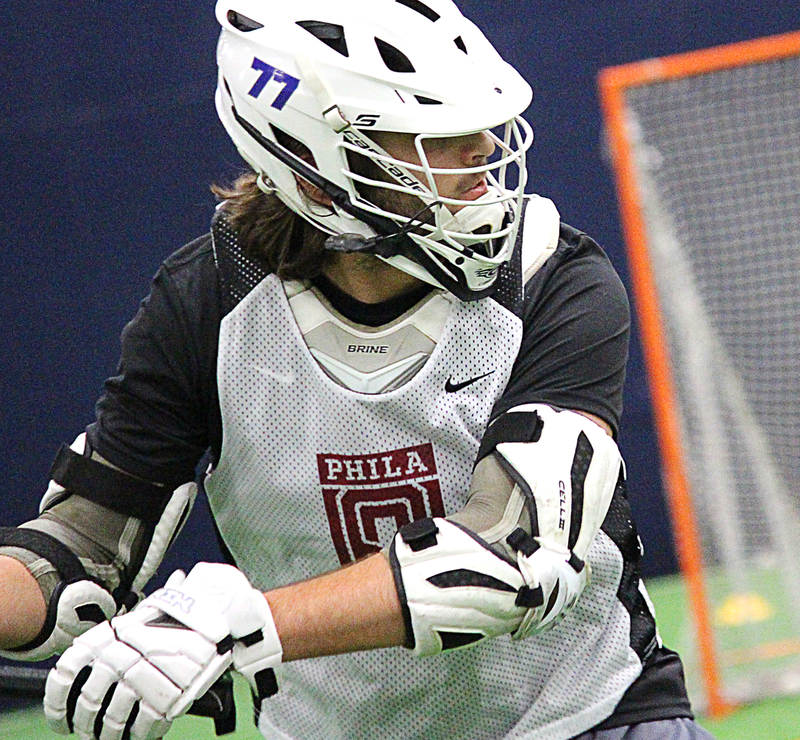 Take a look at photos from our 2017 NXT Lacrosse Academy! Each week prior to working on the field there will be a college level film review led by our NLA staff. Film watched will be relevant to the skills and drills being implemented during the training session. How do you play in even-number situations? How do you play in odd-number situations? • Crease play: cutting and finishing. • Making saves on island shots and time and room shots. • Leading a Defense: communicating Fire, Find and Fill. • Get the Break Going: outlets and starting transition. While the NLA is the most elite training in the area, we take the time to evaluate every player and highlight them each week. One standout middle school and high school player are selected weekly and highlighted for crushing it. A picture is taken (horse mask, optional) of the kids, their school/club, and some serious props are given for having a great week.